Your favorite professor or teacher will be sure to keep this personalized recognition gift on the desk for years to come! 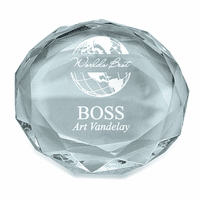 It's an elegant, bevel-edged solid crystal desktop card holder and paperweight. 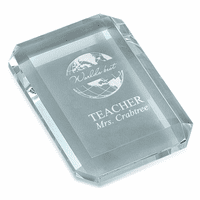 The clear crystal surface features our World's Best Teacher design, complete with the teacher's full name laser-engraved below, available at no extra charge. 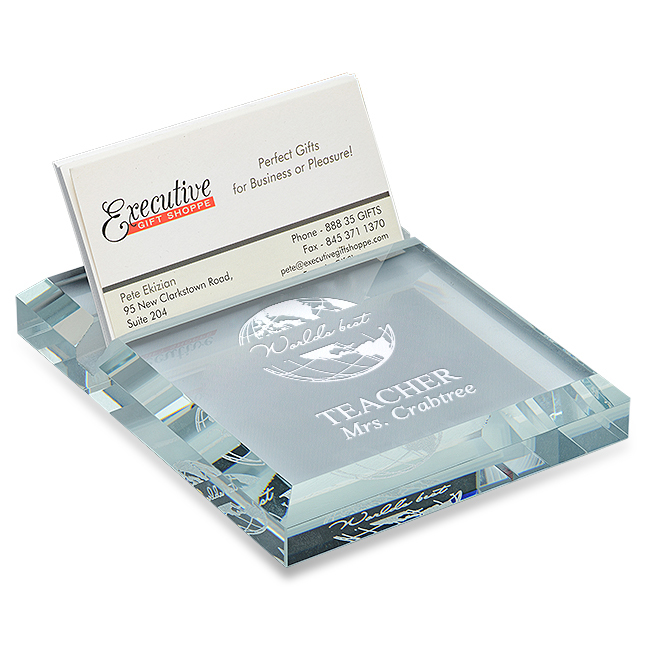 The 4" x 5" card holder displays up to 15 business cards, and comes packaged in a handsome gift box.